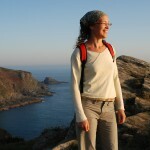 Naturemake is the creation of Naomi Vincent, a South Devon based visual artist/sculptor, who as well as dedicating time to her own work appreciates the value of sharing her creative vision with the local community and visitors to the area in a hands on way. She has inspired and influenced many children with her fun and inspirational art workshops which she regularly brings into Devon schools. With a young family in tow, her two daughters, Penelope and Florence are the first to pass her ideas by when inventing new projects for Naturemake! We are passionate about Arts and Crafts, nature and the imagination! We realize the importance of nurturing through to adulthood that uninhibited ability which children possess from a young age. We encourage children to trust their own individual ideas and believe in their abilities. Un-prescribed making is right at the heart of Naturemake.